A whopping seven specialty films entered the marketplace this weekend and despite the overcrowding, four of them — “The Imposter,” “Farewell My Queen,” “Trishna” and “Easy Money” — managed per-theater-averages above $10,000. Indomina released acclaimed Sundance doc “The Imposter” on a single screen and found the best per-theater-average of any film in release as it took in a promising $20,643. The film — directed by Bart Layton — centers on a young Frenchman who convinces a grieving Texas family that he is their 16-year-old son who went missing for 3 years. Indomina will expand the film in the coming weeks. Benoît Jacquot’s “Farewell My Queen” — a look at the relationship between Marie Antoinette and one of her readers during the final days of the French Revolution — hit 4 theaters in its first weekend care of Cohen Media Group. The result was quite strong as the film took in $72,123 for a $18,007 per-theatre-average. “We are proud to present such a well-made, provocative film that resonates with audiences seeking intelligent and sophisticated subject matter,” Cohen Media head Charles S Cohen told Indiewire regarding the gross. Michael Winterbottom’s “Trishna” debuted on 3 screens this weekend through Sundance Selects. It took in $30,600 for a respectable $10,200 average. Starring Freida Pinto, the film follows the relationship between the son of a property developer and the daughter of an auto rickshaw owner. It’s a vastly different film than Winterbottom’s 2011 release “The Trip” (an improvised comedy starring Steve Coogan), though found similar numbers. Also released by Sundance Selects, “The Trip” averaged $12,984 from 6 screens in its first weekend last summer. The Weinstein Company released Swedish import “Easy Money” on two screens this weekend. Starring future “Robocop” Joel Kinnaman, the film took in $23,784 for a $11,892 average. The film will expand next weekend. Not faring so well this weekend was Rodrigo Cortés’s “Red Lights,” despite the marketable presence of Sigourney Weaver, Robert De Niro, Elizabeth Olsen and Cillian Murphy. On 2 screens, the film grossed only $10,011 — averaging $5,006. Giorgos Lanthimos’s follow-up to “Dogtooth” — “Alps” — was released on a single screen at New York’s Cinema Village this weekend care of Kino Lorber. Unfortunately, it managed just $3,000 as a result. Openings in other major markets will follow in the coming weeks. Finally, the weekend’s worst debut came care of Arc Entertainment’s “The Obama Effect,” directed and starring Charles S. Dutton. Releases exclusively through AMC theaters, the film grossed just $73,000 from 25 screens — averaging only $2,920. The film is a fictional account of the “Obama fever of 2008,” focusing on the life of one man (Dutton) who deals with the ups and downs of the campaign. For a report on holdover releases, including “Beasts of the Southern Wild,” “To Rome With Love” and “Moonrise Kingdom,” continue to the next page. 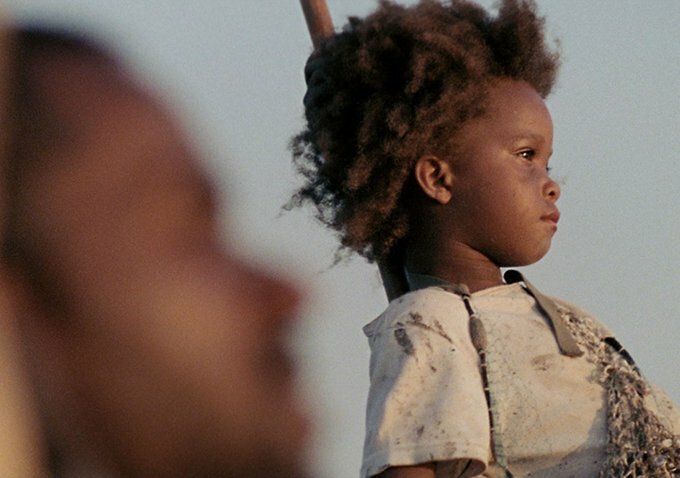 After a hugely successful first two weekends in considerably limited release, Benh Zeitlin’s “Beasts of the Southern Wild” expanded from 19 to 81 theaters in its third frame. The result? A 107% surge in grosses. “Beasts” took in a $775,290 gross and a $9,571 average. “The film performed well in all new markets we opened this weekend, and good word of mouth should propel the picture as we continue to incresase the overall number of theatres,” said Frank Rodriguez, SVP Domestic Distribution at Fox Searchlight. The film will open in 22 more new markets on July 20th, and add additional theatres in existing markets. Its total now stands at $1,677,430. Rob Reiner had his “The Magic of Belle Isle” — starring Morgan Freeman and Virginia Madsen — go from 4 to 5 screens in its second weekend thanks to Magnolia Pictures. The result was far from “Bucket List” numbers as the film grossed only $8,000, averaging $1,600 per screen. The film’s total now stands at $23,680. In its eighth weekend, Focus Features’ “Moonrise Kingdom” expanded slightly from 884 to 924 screens. lt held on strong, dropping just 19% in grosses. The Wes Anderson film took in $3,661,819, placing in the overall top 10 yet again and averaging a very healthy $3,963. Notably, the film’s 47% increase on Saturday (over Friday’s gross) is the second greatest Friday to Saturday increase the film has posted since opening. The film’s new total is $32,440,314. It is the second highest grossing Anderson film, after 2001’s “The Royal Tenenbaums.” At this rate, it should be set to pass the $40 million mark — rivalling “The Best Exotic Marigold Hotel” as the highest grossing indie of 2012 so far. Magnolia (who has US distribution rights) and Entertainment One (who has Canadian rights) have teamed up to release Canadian icon Sarah Polley’s “Take This Waltz.” In its third frame, the film expanded from 43 to 47 screens, with 31 in the US and 16 in Canada. The film took in $150,000 — averaging a respectable $3,191 per theater. “Waltz” has grossed $631,719 heading into further expansion, and is notably also available on VOD. Speaking of Canadians, Sony Classics expanded another Canadian icon-centric film — Jonathan Demme’s doc “Neil Young Journeys” — from 5 to 9 theaters in its third weekend and saw a weak $18,930 gross as a result, averaging $2,103 per theater. The film’s total now stands at $58,874. 2011 SXSW Audience Award winner “Kumare” had a fourth weekend at New York’s IFC Center, as well as adding a screen in Denver. The doc — about a man who impersonates an Indian guru and builds a following in Arizona — grossed $5,000 from both screens over the weekend, taking its total to $53,586. The film will open July 27th in Los Angeles. Lynn Shelton’s “Your Sister’s Sister” went from 94 to 101 in its fifth weekend care of IFC Films. Starring Emily Blunt, Rosemarie DeWitt and Mark Duplass, the film held on nicely, grossing $161,600 and averaging $1,600. That gave the film a new total of $1,222,600. Film District’s Sundance Film Festival pickup “Safety Not Guaranteed” (also starring Mark Duplass) went from 109 to 182 screens in its sixth weekend to repectable results. It took in $335,000 — up 32% from last weekend and enough for a $1,841 average and a new total of $2,617,590. Olivier Nakache and Éric Toledano’s “The Intouchables” expanded from 60 to 83 theaters for its eighth frame and held on very well. It jumped 30% in grosses and took in an estimated $354,000, averaging $4,265. That helped it cross the $3.5 million mark, giving it a new total of $3,579,155. The film is already a massive hit overseas, taking in over $343 million, with $166 million in its native France alone. Finally, Millennium Entertainment continued to find legs via Richard Linklater’s dark comedy “Bernie.” Starring Jack Black, Shirley MacLaine and Matthew McConaughey, the film managed strong numbers in its whopping 12th weekend. Dropping from 113 to 103 screens, the film only lost 13% of its grosses to take in another $219,445. That made for a average of $2,131 and new total of $8,109,793. The film has now surpassed “Dazed and Confused” as the highest grossing independently released film of Linklater’s career. More on the success of “Bernie” here. Peter Knegt is Indiewire’s Senior Editor. Follow him on Twitter and on his blog. Indiewire tracks independent/specialty releases compiled from Rentrak Theatrical, which collects studio reported data as well as box-office figures from North American theatre locations. To be included in the Indiewire Box Office Chart, distributors must submit information about their films to Rentrak at studiogrosses@rentrak.com by the end of the day each Monday.